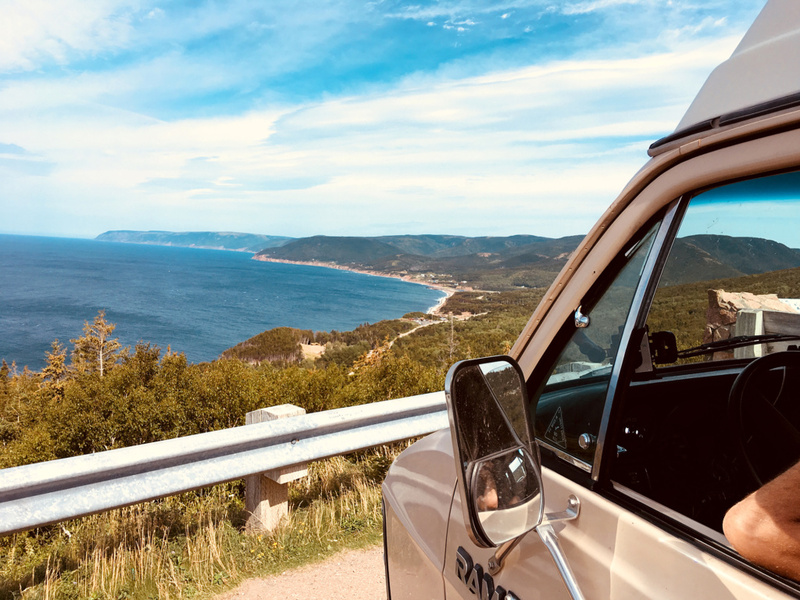 Exploring Nova Scotia’s gorgeous Cape Breton Island where we spent a day doing the Cabot Trail through Ingonish and Chéticamp before sea kayaking around Port Hood, Nova Scotia. 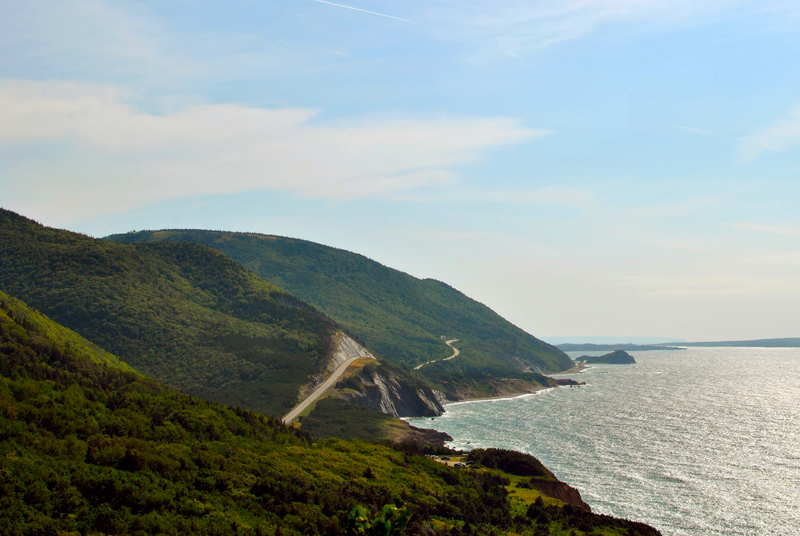 Although it’s been up for debate and later concluded that John Cabot did not, in fact, make his first Canadian land break on Cape Breton Island, the province still loves to name things after him while embracing an increasingly prevalent Scottish heritage. Why bother fact checking when the place is this beautiful?! After crossing the causeway in the AM, we decided to do the Cabot Trail counterclockwise and start off heading from Baddeck to Ingonish. The few mountain lookout points were lovely, but just weren’t as spectacular as the photos and magazines lead us to believe. As usual, we took our time and stopped at just about every vista point where we soaked in the sun and questioned if we were really in Canada. By the time we reached Pleasant Bay, we finally got to see what all the hype was about. The Western part of the island put all the magazines and postcards to shame – it was even more beautiful than we had imagined. 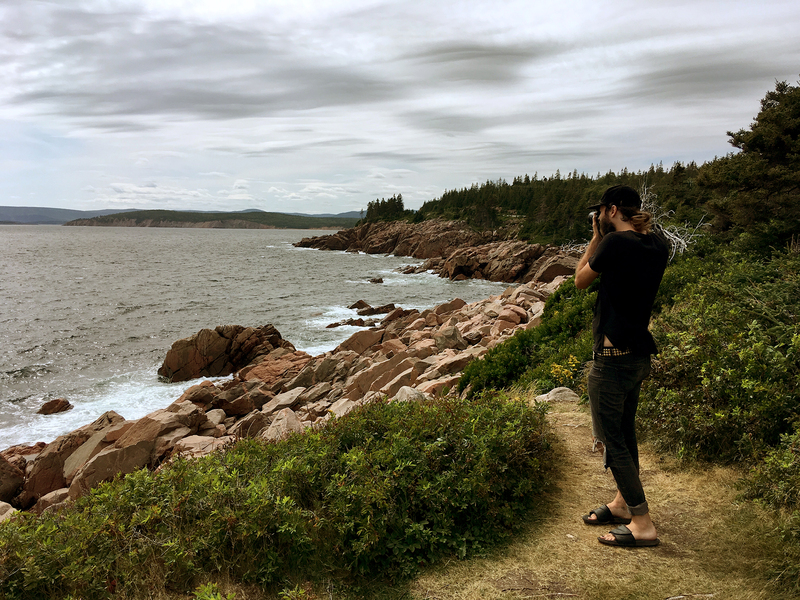 If you’ve ever seen photos of the coasts of Ireland and Scotland and thought you’d never get a chance to see them in person, just hop on a plane to Nova Scotia instead! 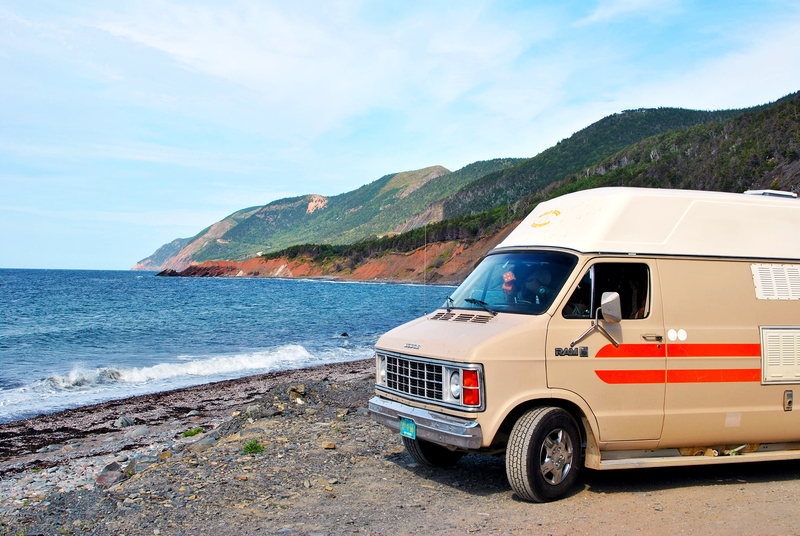 We stopped at La Bloc Beach within the Cape Breton Highlands National Park for some lunch where we had an amazing view of the cliffs and a constant battle with the wind. There’s something pretty amazing about a place that is so rugged and powerful making you feel so peaceful and calm. You really need to take a minute to admire the natural beauty of the area and rejoice that it’s protected land. 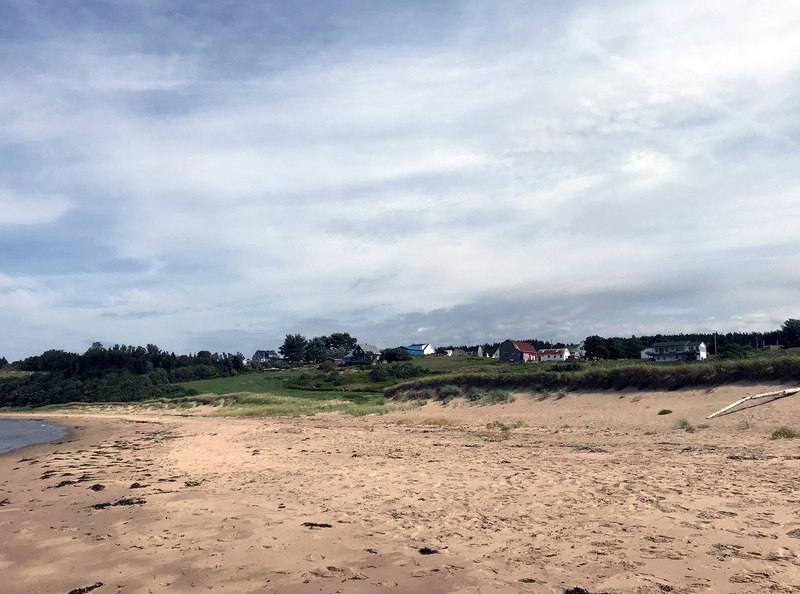 As we finished the loop, we drove through some of the small towns outside of the National Park, like Chéticamp, and thought about how amazing it would be to wake up to that view every morning. Luckily for us, we can wake up to a different view every morning and have the freedom to abandon ship when the weather is bad. We stopped in Belle Côte for some fish and chips and set out to find a sleeping spot for the night. We had stopped at a lookout point not far from the restaurant that gave us a glorious view of the winding coastline but decided to seek out a spot that was a little more sheltered from the emerging winds. We kept on through Mabou, where we found a nice riverside spot right across from the harbour. After a good night’s sleep, we headed toward Port Hood where we’d be meeting with a friend’s mom in Judique. One of the best parts about travelling is phoning in all of the local connections you’ve got around the country. It’s so nice to catch up with family and friends and be shown around by a local. 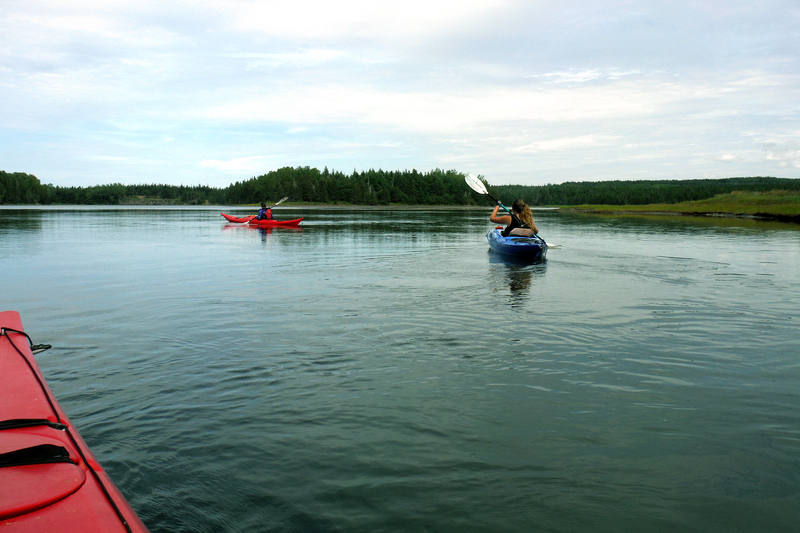 In this case, we got to experience East Coast hospitality at its finest by being taken sea kayaking from someone we had never even met before. The gesture for people to open up their homes and their schedules to share their town with you is pretty special. While Justin had some kayaking experience, I had never been in one before so we took a casual cruise around the ocean-fed pond where we skimmed over thousands of fresh mussels and oysters. Just like in PEI, we scooped them right out of the water and ate some of the freshest oysters around, #spoiled. After a lovely day on the water, the eastern hospitality continued with a delicious home-cooked meal and an apple crumble made from apples as local as they get – hand picked right from the backyard. 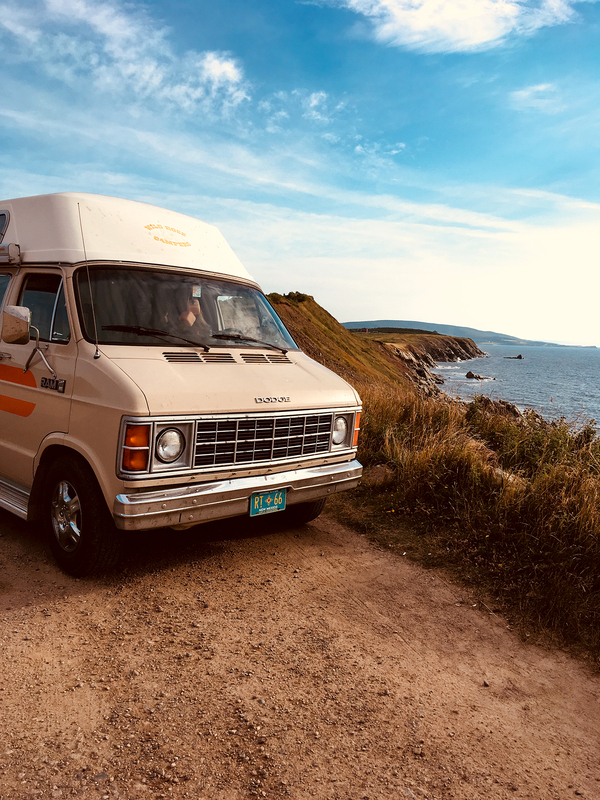 With our bellies full and an early morning reservation looming, we packed up and set out for North Sydney, where we’d be taking the ferry to Newfoundland the next morning. With everything from white sand beaches to a roaring rocky coastline, Nova Scotia slid right into my favourite provinces list pretty quick. The East Coast of Canada in general is super underrated and is somewhere every Canadian and tourist alike should add to their itinerary. Next stop is Justin’s homeland where we go just about as remote as it gets with a 7 hour boat ride as our next commute.